(born Marie Gresholtz) was in some ways an unlikely entrepreneur. But she did have a talent– for the newly fashionable art of wax modelling. Born in 1761, her skill in wax modelling put her in the employ of the French royal family, and she lived for some years in the Court of Versailles. However, her life was to be thrown off course by the French revolution of 1787, which she only narrowly survived, and as a result of which she was imprisoned until 1794. 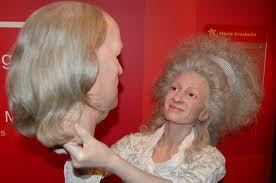 Turning tragedy into opportunity though, Madame Tussaud (as she was named after marrying in 1795) found a grisly niche by becoming the maker of wax death masks – initially of the guillotined aristocrats. She eventually was to take a huge risk by going on tour with them overseas to England, never to see her husband again. She spent a total of 25 years on the road, and eventually established a base on Baker Street, London. The exhibition she founded there grew as she added models of English murderers and body snatchers to the delight of enthusiastic audiences. By the time she died in 1850, she had become immensely successful, and in 1884, her grandsons move the exhibition to Marylebone Road, where it still stands along with a number of other exhibitions that have opened all across the world. 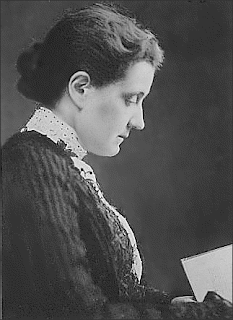 American Jane Addams was a 19th social entrepreneur, whose sense of ethics and morality influenced her career as much as her entrepreneurial spirit. She was born in 1860, the eighth of nine children and daughter of a prominent Republican politician. Hindered by spine problems for most of her childhood, she spent a lot of her early adulthood trying to find a purpose in life. To these ends she travelled widely, and it was during a trip to Europe with her friend – Ellen Starr - that she experienced the impact of a settlement House on a community. It was this house, Toynbee Hall, in London’s East End, that confirmed to her what she should work on when she returned to America. At the age of 27 she decided to form a similar house in an underprivileged immigrant area of Chicago. This settlement, known as Hull-House, was formed in 1889, and became an institution known worldwide. By the time it was two years old, it was hosting 2000 people every week, who could take advantage of services including kindergarten classes, club meetings and lessons. She personally took care of most of the fundraising and became involved in wider efforts for social reform. In 1910 she received the first honorary degree ever awarded to a woman by Yale University , and in 1931 she was awarded the Nobel Peace Prize. But we wont be stopped or deterred. We will continue this week and let's put on our rose tinted glasses to forget about that gap that occured. Today I will be tweeting about social entrepenuers and activitis and business women who took a chance and changed history by changing mindsets towards women when it came to business, politics, and life.